The only good thing Verizon has ever done for me was sending me an ex-chef to fix my internet. 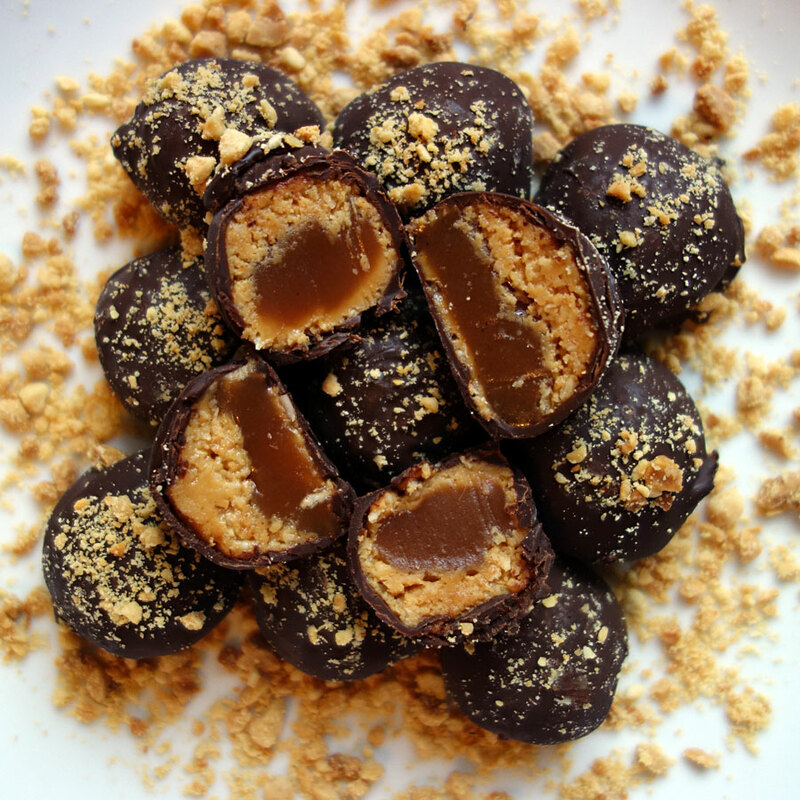 When Jay, the ex-chef technician, told me he was making these Chocolate Covered Peanut Butter Coconut Honey Caramel Balls for Thanksgiving, I knew I had to as well. Here’s the recipe…(drops the microphone).